Respecting your privacy is very important to Better Health While Aging. On this page, you can learn more about our philosophy regarding your privacy and Dr. Kernisan’s financial disclosures. Dr. Kernisan believes it’s important for doctors to be transparent about any relationships they have with business ventures. 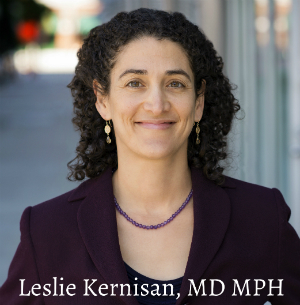 Dr. Kernisan hereby declares she has no significant financial ties with any technology companies or business ventures, other than her own work as a consulting geriatrician and as the founder of Better Health While Aging, LLC. Neither Better Health While Aging, LLC, nor Dr. Kernisan engage in any paid marketing or promotion of apps, products, companies, or services. Dr. Kernisan does occasionally write about an app or service that she has heard of, or that she has tried and liked. This writing usually appears on GeriTech.org, but occasionally may appear on this site. Dr. Kernisan is occasionally paid to provide certain services to companies. This usually consists of providing focused feedback and advice regarding apps, products, and services related to the healthcare of older adults. Generally, Dr. Kernisan writes about apps and products that she has no financial relationship with. If she has provided consulting services or otherwise has a financial relationship with an app or product she writes about, she discloses this in the article. The Website and its Content is owned by Better Health While Aging, LLC (“Company”, “we”, or “us”). The term “you” refers to the user or viewer of BetterHealthWhileAging.net (“Website”). Please note that the information above (“Personal Data”) that you are giving to us is voluntarily, and by you providing this information to us you are giving consent for us to use, collect and process this Personal Data. You are welcome to opt-out or request for us to delete your Personal Data at any point by contacting us at hello@betterhealthwhileaging.net. We may use the data you provide to us to run social media advertisements and/or create look-alike audiences for advertisements. You may unsubscribe from our e-newsletters or updates at any time through the unsubscribe link at the footer of all email communications. If you have questions or are experiencing problems unsubscribing, please contact us at hello@betterhealthwhileaging.net. We do not collect any information from anyone under 18 years of age in compliance with COPPA (Children’s Online Privacy Protection Act) and the GDPR (General Data Protection Regulation of the EU). Our Website and its content are directed to individuals who are at least 18 years old or older.